As the UK's leading supplier of screen printing supplies, we provide you with a full range of genuine quality screen printing products sourced from market leaders like Natgraph, Rutland... just to name a few. 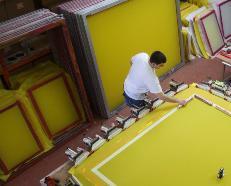 From screen printing screens, textile printing machines to plastisol inks we have it all covered! 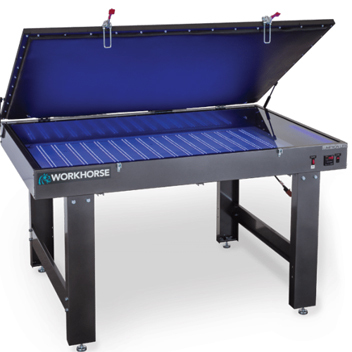 Born from our extensive experience within the Screen Printing industry, our UK store enables you to find every equipment you need, whatever this is. We manufacture new, stretched aluminium frames and also offer a re-meshing service of your existing frames. A wide range of screen emulsions, capillary films, positive media and screen fillers to suit all screen making applications. Plastisol, Water based, Solvent, UV and speciality inks available in a multitude of colours.Pack sizes: 1lt, US Gallon and 5lts. A large selection of mesh cleaning products to remove all old emulsion and Ink stains. Pack sizes: 1lt, 5lt, 25lt and 210lt drums. 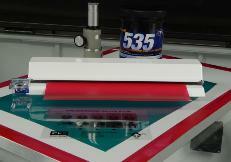 Various types of manual and automatic screen print machinery available, including dryers, exposure units and flash cures. 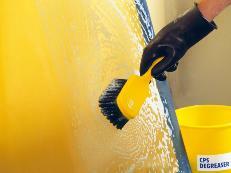 Squeegee blade, Buckets and Brushes, Screen wipes, coating troughs. A wide variety of much needed products within this section. 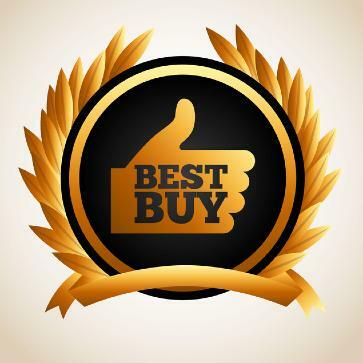 Our best selling monthly products, start up kits and special offers within this Best Buy section. Take a look. Known throughout the Screen Printing industry for our dedication to customer satisfaction, market leading screen print products and technical expertise, we'd like to be your supplier of choice. 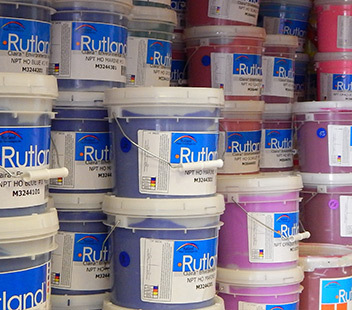 Whatever the screen printing equipment you need, we have it: CPS, Rutland inks, Union Inks, Sroq, Chromaline, Murakami and Saati, alongside our own home branded products and inks from Pyramid Screen Products and Pyramid Textiles Group. 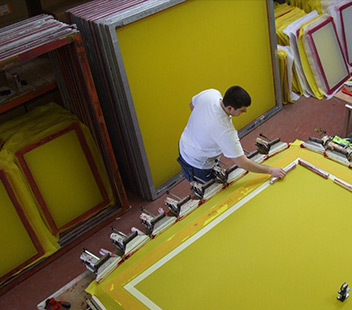 As a UK leading supplier within the screen print sector, we endeavour to fulfil complete customer satisfaction. 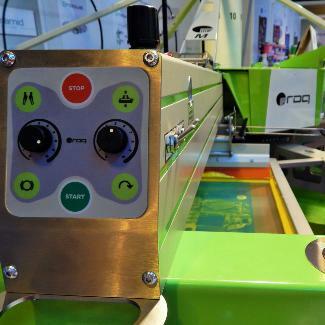 Further to our wide range of Screen Printing Essentials including brushes, squeegee blades and everything needed to clean your own screen mesh, we also professional screen printing machines (including automatic carousels from makers ROQ International), inks and starter kits to print your own t shirts! Whoever want to screen print will find the right products at Pyramid. Within our experience with this business, we selected the best quality materials so that you can easily and safely use it. 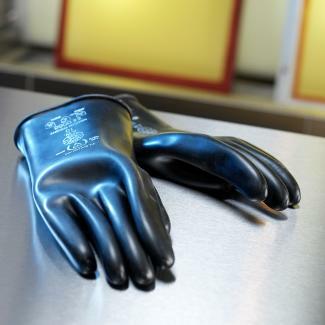 Dual Cure, Diazo and Polymer screen emulsions, screen fillers ,UV and solvent inks... For those who matter, we also provide environmentally-friendly inks which use no additives or solvent. So if you screen print anything and everything, whether you hand print or use automatic preses, printing t shirts to pens and everything in between, we have the right screen printing products for you. And if you need any further information, our experienced team will gladly help you!